In Christian theology, Kenosis (Ancient Greek κένωσις kénōsis) is the concept of the ‘self-emptying’ of one’s own will and becoming entirely open to God and his perfect will. It is used both as an explanation of the incarnation, and an indication of the nature of God’s activity and condescension. An apparent dilemma arises when Christian theology positions a God outside of time and space, who enters into time and space to become incarnate. The doctrine of Kenosis tries to explain the incarnate Jesus in hypostatic union (Greek: ὑπόστασις, “hypostasis,” meaning essence); Kenosis holds that these changes were temporarily assumed by God in his incarnation, and that when Jesus ascended back into heaven following the resurrection, he fully resumed all of his attributes of divinity. Specifically it refers to attributes of God that are thought to be incompatible with becoming fully human. For example, God’s omnipotence, omnipresence, omniscience, as well as infinity, impassibility, and immutability. Christian theology brand hypostatic union as the dual nature of Jesus Christ being simultaneously God and Man. Hypostatic union is a theological term used with reference to the Incarnation to express the revealed truth that in Christ one person (ὑπόστασις, hypostasis) subsists in two natures (φύσεις, physeis); the divine and the human. Hypostasis means, literally, “that which stands beneath”; as the basis or foundation. It consequently came to be used by the Greek philosophers to designate reality as distinguished from mere appearance (Aristotle, “Mund.”, IV, 21). The two natures are not united in a moral or accidental union, nor mixed, but nonetheless they are substantially unified. The particular nature of this union is held to challenge human comprehension, for this reason an alternative term of “mystical union” was coined. During the dispensation (divine order) of the hypostatic union, Jesus Christ eagerly limited the use of His divine attributes in obedience with the Father’s will. This means that Jesus Christ did not use the attributes of His divine nature to benefit Himself, to provide for Him self, to glorify Him self, or to act autonomously from the plan of God for the dispensation by any compromise of the spiritual life. The objectives of the dispensation in the hypostatic union are specifically related to the human nature of Jesus Christ. To resist temptation, the human nature of Jesus could not call on the divine nature for help. He had to use the workings of the spiritual life to maintain His human faultlessness and to be qualified to go to the Cross and serve as our propitiation. Jesus voluntarily lay aside all prerogative use of His divine attributes, but certain functions of His deity continued to function, such as holding the universe together (Colossians 1:17). Jesus Christ simply did not apply His divine attributes during this dispensational period. He did not give up His divine attributes – to say that He did is heresy. It was perhaps possible for God to create Jesus as a complete human being in heaven and send him to descend from heaven to earth without the benefit of any human parent. But it would have been very hard for us to see how Jesus could be fully human as we are, nor would he be a part of the human race that physically descended from Adam. Alternatively, it may have been possible for God to have Jesus come into the world through two human parents, both a father and mother, and with his full divine nature miraculously united to his human nature at some point early in his life. But then it too would have been hard for us to understand how Jesus was fully God, since his origin was like ours in every way. Giving thought to these two other possibilities, we can better understand how God, in His infinite wisdom, ordained a combination of human and divine balance in the birth of Christ, so that his genuine humanity would be evident to us from the fact of his ordinary human birth from a human mother, and His sovereign deity would be clear from the fact of his conception in Mary’s womb by the power of the Holy Spirit. Even though the humanity of Jesus in this union was ideal and sinless, nonetheless, the deity of Christ was united with un-glorified humanity. While the deity of Christ was united to a wonderfully true humanity, He was still subject to distress, weakness, pain, sorrow, limitation, and to more temptations than we will ever face. Hebrew 4:15 says, This High Priest of ours understands our weaknesses, for he faced all of the same temptations we do, yet he did not sin. The nucleus of our Lord’s deity is composed of the summation of His divine attributes, so that a change of quality would unavoidably involve a change of His fundamental nature, and this is impossible since Jesus is absolute. Therefore, during the hypostatic union, no attribute of Jesus’ divine nature was altered or distant or restricted. There was no containment of fundamental nature. In the hypostatic union, the divine and human natures are united without exchange of attributes. The divine nature of Christ was not changed by the Incarnation, and was not changed by voluntarily not exercising the whole of this nature. No divine attributes were transferred to His humanity and no attributes of humanity were transferred to His deity. The doctrine of Kenosis recognizes that during this hypostatic union, our Lord voluntarily withheld the autonomous use of His divine attributes for the carrying out of the Father’s plan, will, and purpose of the Incarnate Son. He did so in obedience to the Father’s plan for the strategic victory of the angelic conflict. For the plan of the Incarnation not only called for the conclusion of our sins penalty, providing for the eternal salvation of all members of the human race, but simultaneously for the strategic victory over the angelic departures. Under the doctrine of Kenosis, our redeemer became true humanity in order to fulfill the Father’s plan for the hypostatic union. The Lord voluntarily took on Himself true humanity in order to redeem mankind from sin, a complete propitiation to God the Father, for reconciliation of mankind to God. During the Incarnation, Jesus Christ did not exercise the use of His own divine attributes even once, neither to benefit Himself, to provide for Himself, or to glorify Himself. Again, Christ gave up the outward appearance of God, but not the essence of God. Christ voluntarily took upon Himself “the likeness of mankind,” (Philippians 2:7). For this reason He prayed for glorification of His true humanity. (John 17:4-5) “I glorified Thee on the earth, having accomplished the work which Thou hast given Me to do. And now, glorify Thou Me together with Thyself, Father, with the glory which I had with Thee before the world was.” Jesus Christ had not emptied His deity or His divine glory of any measure, and at the point in John 17:4-5, He had not yet achieved the victory for which He was sent of the Father. Thus in John 17:5, Christ is praying for victory for His humanity, not for restoration of His divine glory, which had never been taken from Him in the first place. In effect, let us look in at what He gave up according to the Holy Scriptures. First, He veiled His glory. He veiled the manifestation of His glory. He veiled the radiance of His eternal effulgence and brightness, the full manifestation of all of His attributes in glory. That’s why in John 17:5 He says, “And now, Father, glorify Thou Me with Thine own self with the glory which I had with Thee before the world was.” Give me back the glory which I had. This means at that point He didn’t have it. 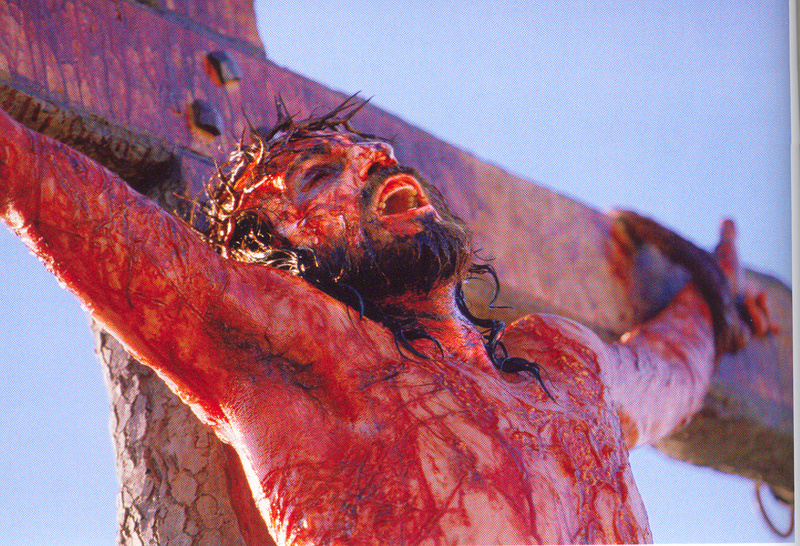 He had veiled His glory in human flesh. He set aside the full expression of His glory. Secondly, He gave up His riches. He gave up His honor. Isaiah 53 says, “He was despised. He was rejected.” The New Testament tells us He was hated, He was mocked, He was spat on. His beard was plucked. He was defamed. He was dishonored. He was discredited. He was accused. He was murdered. He gave up His honor clearly. And the prophet Isaiah said in His despising and rejecting there was no beauty in Him that men should desire Him (Isaiah 53:2). Thirdly, in Second Corinthians 8:9 Pauline writes, “He who was rich for our sakes became poor that we through His poverty might be made rich.” Fourthly, He gave up His favorable relation to the Father. And He did that only in the moment of time when He died on the cross and said, “My God, My God, why have you forsaken Me?” (Matthew 27:46). Meaning, the Father had withdrawn the light of His countenance, the supports and comforts of His spirit, and filled Christ (humanity) with the terrors of thy wrath. Additionally, He gave up the independent exercise of authority. 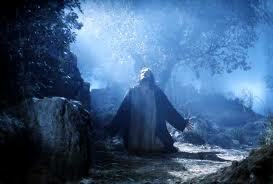 He said, “I will do only that which the Father shows Me. My meat is to do the will of Him who sent Me.” (John 4:34) Although He veiled His divine privileges, He was whole deity and fully God throughout this dispensation and from eternity to eternity. In the doctrine of Kenosis it is important to note that the two natures of Christ maintain their complete identity through being joined in personal union forever. The characteristics of His human nature belong to the human part of Him; the characteristics of His divine nature belong to the God-part of Him. Each nature has its own attributes that adhere to that nature. In plain language, there is no commingling of the two natures. He is never half-God and half-man or half-man and half-God (Nestorianism). Sometimes He operates from His human nature only. Sometimes He operates from His divine nature only. And sometimes He operates from both natures together, but not mixed. For example, in His humanity He became hungry (Matthew 4:2), but in His deity He never hungers, (John 6:35). In His humanity, He became thirsty (John 19:28), but in His deity He is the water of life, (Revelation 22:17). In His humanity, He would say such things as John 14:28 “For the Father is greater than I.” And then in His deity He would say John 10:30 “I and the Father are one.” John 5:23 “in order that all may honor the Son, even as they honor the Father.” Too, He operates from both natures together but not mixed when He says such things like John 14:6 “I am the way, and the truth, and the life; no one comes to the Father, but through Me.” This is why we can refer to Him as the God-man. Too, scripture says, He “increased in wisdom” (Luke 2:52), He learned how to eat, how to talk, how to read and write, and how to be obedient to His parents (Hebrew 5:8). In His deity He has omniscience, (John 2:25), but His limitation of knowledge is concluded from the fact that Christ could be amazed, (Matthew 8:10). In His deity He could not be tempted, (James 1:13); in His humanity He could be tempted, (Hebrew 4:15). In His deity He is the giver of faith; in His humanity He possessed faith, (Hebrew 12:2). He has all knowledge, yet He is said to have learned in Luke 2:52 & Hebrew 5:8. In Mark 13:32 and Matthew 24:36, Christ states categorically that He is ignorant of the exact time of the Second Coming, but as God He knows. The Word of the living God says, “In him all the fullness of God was pleased to dwell” (Colossians 1:19), and “in him the whole fullness of deity dwells bodily” (Colossians 2:9).